dicated HR person. And in today’s increasingly mobile society, PEOs make it easy for small businesses to hire across state lines without worrying about complying with differing labor laws across the country. Access to benefits and the ability to work remotely not only encourage employees to stay in their positions, but they’re also a pretty big factor in whether or not an employee decides to accept a job offer at all. So it stands to reason that small- and mid-sized businesses that work with PEOs grow faster and enjoy greater stability than those that don’t, right? According to a new report from the National Association of Professional Employer Organizations, that’s exactly what the right PEO can do for your company. 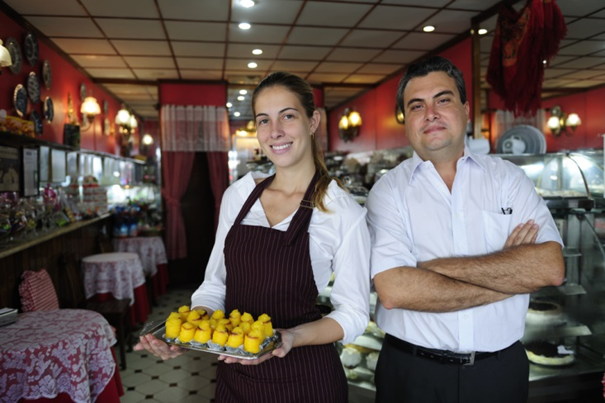 Small businesses that use PEOs often not only grow faster than their counterparts, they also enjoy lower turnover rates and a much lower rate of business failure. According to a 2011 survey, 47 percent of employees said that retirement benefits were an important part of why they stayed in their current jobs, and 35 percent said those benefits played a significant role in why they decided to take their current jobs initially. Retirement benefits are obviously a big deal for most employees, but nevertheless most small-business owners don’t offer any sort of retirement plan. Only about 16 percent of those companies employing fewer than 10 people offer retirement benefits, and only about 30 percent of companies with 10 to 49 workers offer them. When asked why they didn’t offer retirement benefits, small-business owners said that such plans were too costly to establish and manage, or that they didn’t think they could shoulder the added administrative burden. It’s true that the increased burden of employee benefits can be quite difficult for a small-business owner to carry alone — especially since most small-business owners may know a lot about their industries, but not so much about human resources management or employment regulations. A dedicated human resources manager can be an expensive solution, and even with such a person on your team, mistakes can happen. Many small-business owners, however, are pleased to discover that a PEO can offer a broad range of employee benefits for a fraction of the cost of a dedicated human resources person — and if any mistakes are made, the burden of liability rests with the PEO, not the small-business owner. When you hire the right PEO, you’re improving your small business’ chance of long-term success. Small- and mid-sized businesses that use PEOs grow seven to nine percent faster than those who don’t, because the business owner is able to focus his or her energy on running the business. PEOs can also help minimize employee turnover by providing the benefits that keep employees happy. Employee turnover costs small businesses money — by the most conservative estimates, at least $14,000 per employee. When the positions vacated are managerial, costs can run as high as 200 percent of the former employee’s salary. The average rate of employee turnover across the U.S. is 42 percent per year. Among small businesses who use PEOs, the average rate of turnover varies from 28 to 32 percent a year, depending on the type of business. Among businesses in the tech industry, turnover rates are lowest — up to 23 percent lower than the national average. Businesses in the manufacturing industry enjoy a turnover rate that is 2.3 percent lower than the national average when they use a PEO. Over time, these savings add up to increased longevity for the business as a whole. On average, eight percent of businesses in the United States fail each year. Among businesses that use PEOs, only 2.1 to four percent will fail in a given year. Again, the failure rate depends on industry, with businesses in the tech industry having the lowest failure rate — about 6.3 percent lower than average — and businesses in health care having the highest failure rate, which is still 0.8 percent lower than average. So if you want your small business to grow rapidly and thrive longer, use a PEO. With the help of a PEO, you can offer your employees an enviable benefits package that won’t break the bank, or overwhelm you with additional administrative chores.